In Herbal consultation, Gail teaches you how to use herbs, supplements, correct diet and other natural healing modalities in a systematic manner to obtain dependable results. In this consultation she will use sclerology as an assessment tool, as well as tongue and fingernail analysis. These will help guide her to build a program that is designed to you specifically, using modalities such as pure diet, whole herbs, exercise and therapeutic essential oils. There is no one size fits all in natural healing. You may leave the office with a full program that works for you. This consult will last approximately 1 1/2-2 hours. Order here to get WHOLESALE PRICES on the highest quality herbal, vitamin, mineral and nutritional supplements worldwide. This is your opportunity to build your health and change your life. Ordering from this site will give you wholesale prices to the world leader in health supplements. 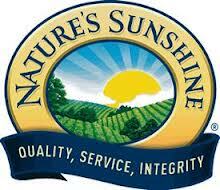 At Nature's Sunshine, quality is not an option - it is an obligation. Only the finest raw materials are used. NSP boasts the largest force of trained Herb Specialists in the world. All products are guaranteed pure.